Apparently releasing EOC 2.0 in its own thread wasn't enough to let people know because in this one week alone I've had people asking me when 2.0 will be released. But check it out because some of the tools are amazing. 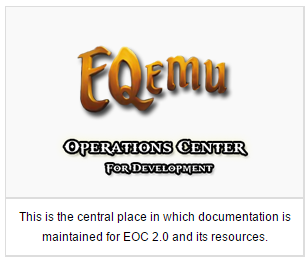 Please read this thread and go to the Wiki page that I fully describe everything encompassing EOC 2.0 (Developers toolkit). As I describe on the Wiki page, EOC 2.0 is simply another development tool, some are very amazing and effective at what they offer. All in all you can use this tool and the already well established PEQ Editor without having to install anything yourself, just follow the simple directions that have been written in the Wiki article. The purpose of EoC is to provide rapid server development tools that may or may not be available through other mediums. To answer the question, "Will EOC be open sourced for development?" - The answer is yes, I will Github this project, but only a standalone deployment for 1 user simply because I don't want others doing hosted EOC setups when there already is one. When I get time to address the things I need to address and push it to Github I will. This will also unlock a can of worms for others to make modules and tools for it as well if they wish. If you have any questions respond to this thread or the one linked above please. If you are not intending to advertise information regarding your server, such as the website URL or the description of the server on the server list, IE you are running a development server - you do NOT need to register your server for it to function or appear on the Loginserver. Addmoreice working towards simplifying the DB API and getting rid of RunQuery, as well as simplifying other API portions of the EQEmu code. The server list page now shows new servers that are both unregistered and registered on the list now. Thanks Rogean. Robregen: Well we had a breakthrough on the netcode. Thanks to Secrets. He's still refactoring it to further improve it. We open up the Iksar and Vah Shir starting cities and area. Speedz: The official Mac clients have actually been able to connect, up until this point its just been the PC client version with recent netcode changes. OSX still needing some work. 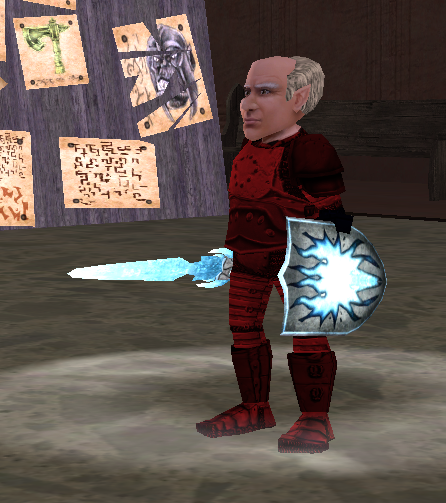 Far less desyncs and overall issues since Akkadius' character deblob overhaul. Seems to have alleviated a lot of odd issues, overall we're heading in a great direction. Kayen: Implemented support for spell target type (45) 'Target Rings' on Underfoot (does work earlier expansions). Thanks to Lecht for figuring out the op_code side. JJ: Implement new Live-like faction adjustment message using rule Client:UseLiveFactionMessage. Trevius: Fixed dynamic merchant list loading. Allows any merchant to be used in any zone. Secrets: Fixed overflow on AC and ATK values that can go out of range. Secrets: Merc/Bot fixes for previous updates. Secrets: Changed a lot of int16s for stat-related functions to int32 because they were causing combat formula overflows (int16/int32 mismatch). Trevius: Fixed potential crash related to Pets/Mercs buffs when targeting themselves. Uleat: Fix for stacking items in a world object..added a new command option: #peekinv world - will show world container contents, if one is in use by target. Uleat: Fixed the auto-conversion view naming error and renamed the views in the script files. Added a fix sql for databases that auto-converted. Notes: I modifed the behavior of both load and drop bots to fail on the first operation if their modifications have been performed already. a few altered tables back to their original state - as of the date in the file. Currently working: client side only effects and stat bonuses. Last edited by Akkadius; 02-22-2015 at 04:55 AM.. I just wanna say that I have been using this for the past few days and I absolutely love it! Nice work, it's much appreciated. I wish I had the programming skills to contribute something awesome like this to the community! so does this update mean i can update my server registration like I could before the web UI update?